The gospel can be confusing. What exactly should be included in the presentation of it? What does God require of us to receive forgiveness of our sins? How do we receive the gift of eternal life? 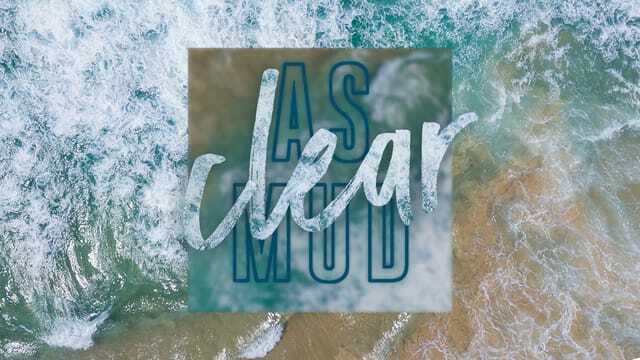 Our new series, Clear as Mud, will answer these questions and more. No message is more important than the gospel—so, let’s clear it up. Thank you for visiting Chestnut Ridge Church today! You can find out more about our church and upcoming events on our Facebook page or our website. You can also follow the church on Instagram at @theridge_church. TODAY, October 21st—Show and Tell Baptisms will be happening TODAY, October 21st following the 11am service. Stay to celebrate as kids and students SHOW their faith through baptism, and TELL part of their story. Join us in the auditorium to celebrate faith with Ridge Kids starting at 12:30pm! http://www.theridge.church/studentretreat TODAY is the last day to register for the Ridge Students High School Fall Retreat happening November 2nd-4th! If you'd love to get away for a weekend with friends, enjoy games, group discussions, and time away from school, then sign up online for the high school retreat TODAY! http://www.theridge.church/dodgeball Sunday, October 28th—Students in 6th-12th grade are invited to the gym between the morning services next Sunday! Play dodgeball and enjoy some delicious donuts! Parents are invited, too—mingle with other parents, and meet the Ridge Students staff and small group leaders. Join us in the gym at 10:15am! http://www.theridge.church/beyondteams Saturday, October 27th—Join the Beyond Team as we serve seniors in the community! The team will take on various projects around the area, and visit with residents of Sundale Nursing Home from 8:30am to 1pm. Volunteer spots are still available for this serving opportunity. If you'd love to lend a helping hand, sign up online today! Problem: We don't see the simplicity of the message through the gospel illustrations. Solution: Pictures reinforce the message—the lamb of God, a snake on a pole, the free gift. A picture is worth 1,000 words.